Experience the magic that happens when you align your social media content with your podcast show notes! 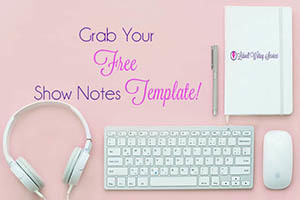 Align your social media text content with your show notes to WOW your followers and listeners! Our Nearly Done-4-You Social Media Content Creation package is the perfect solution for busy entrepreneurs with a small - or no - team that just need a little extra help creating and sharing their episodes across multiple social media platforms. With this add-on package, all you need to worry about is recording your amazing content, scheduling the audio & show note content on Libsyn, and creating the beautiful social media images for each episode! 1 additional quote included - for a total of 2 quotes per episode! This package is billed in addition to the podcast show note package price of your show.